A classy hotel needs a classy website. 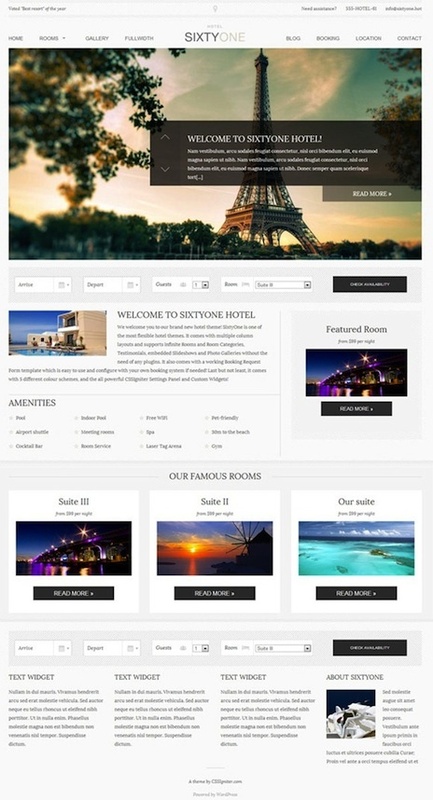 Impress your potential customers with SixtyOne WordPress Theme, it is a beautiful responsive Hotel/Resort theme. Features include online booking module, custom pages, featured slider, photo gallery, rooms module, hotel amenities, room features, Google maps integrated, footer widgetized, custom pages, SEO optimized, full width with no sidebar pages and more.